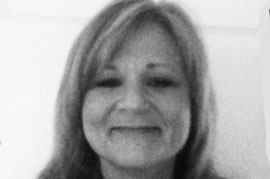 Carol has over 25 years of accounting and administrative support experience. For the past 6 years she has managed account relievable and payables, payroll and other accounting duties as well as drug screening, educational verification, background checks and client profiles. She will always go above and beyond to meet the needs of clients in a timely and professional manner. Carol has been involved with many community services including: Breast Cancer Walk-A-Tron, Grief Counseling Camp for Children, Local Community and Church Food and Clothing Closet.Carol has been involved with many community services including: Breast Cancer Walk-A-Thon, Grief Counseling Camp for Children, Local Community and Church Food and Clothing Closet. Contact us today at the number listed or use the form below to submit a business inquiry online. Welcome to the leading search firm in the interiors industry. We're experts in talent acquisition. If you have the desire and experience to make a difference in the interiors industry, we would love to talk with you. Please send your qualifications and a brief outline of your recruiting processes to the email address to the left.